I have been using the CaB-2 from Prometheus Design Werx almost daily for two years straight so It’s about time I shared my review of it. As the name suggests the CaB-2 (Carry all Bag) is the second version of a tote originally sold by Tinker Workshop . The second generation has been streamlined by omitting the PALS webbing of the original which helps cut some weight and a heck of a lot of sewing! A second set of carry straps have been added for extra carrying options. Having a set of long and short straps makes for more comfortable carrying of the bag as you can either grip it in your hands or hooked on your shoulder. Two sets of grab handles also aids in loading and unloading. The CaB-2 is just as robust as the original. 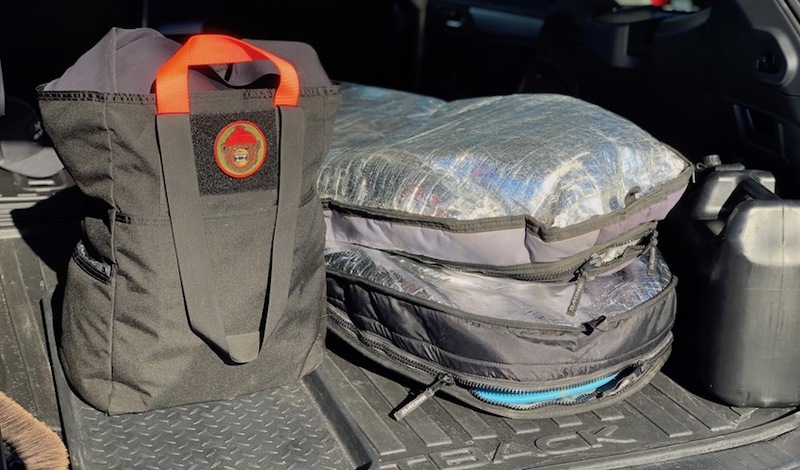 The bag uses 1000D Cordura that is plenty tough and sheds water and dirt. Another robust feature is that the straps wrap around the entire height of the bag and are boxed stitched at stress points for added strength. This is a failure point on many duffles and packs. Additionally, all edges and seams are taped for reinforcement and to avoid fraying. The CaB-2 is just as suitable for hauling firewood as it is going grocery shopping. The upright form of the bag means it has a relatively small footprint which comes in handy when the cargo area of my Outback is filled with extra boards and a Scepter water can for rinsing off. CaB-2, Scepter Water Can and Two Boards in their Bags. There are pockets on all four sides which allows for further organization for smaller items or things you want to keep handy. In the large front pocket I keep small loose items. It’s easy to remember which side is which by the the large section of loop for attaching patches. It also means DRB always gets to come along for the ride. On the left side pocket I keep a large microfiber pack towel as a back up. The right side pocket is divided into three vertical sections that are handy for small tool and the like. Finally, the rear large pocket is big enough to carry a pair of my Yucca fins. 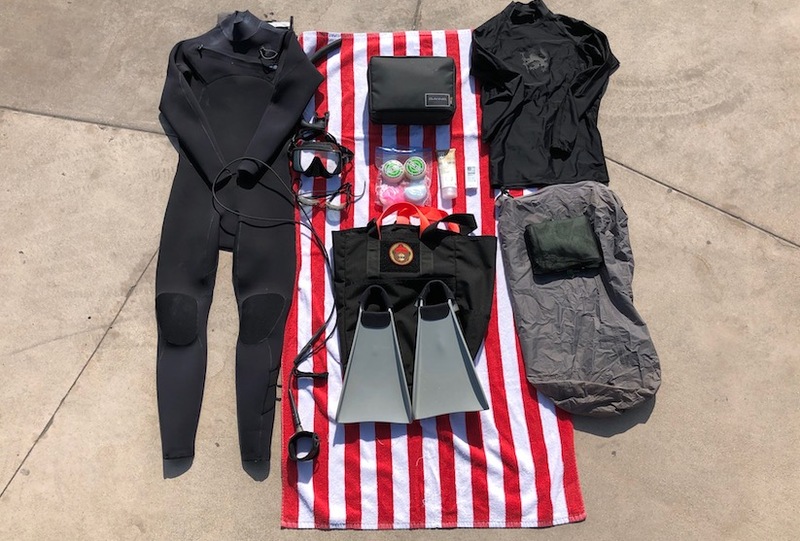 Inside the CaB-2 easily consumes a beach towel, full wetsuit, organizing pouch for surfboard fins, dive mask, snorkel, water proof bag (for wetsuit), ziplock full of wax, swim goggles, rash guard, spare pair of trunks and leash. 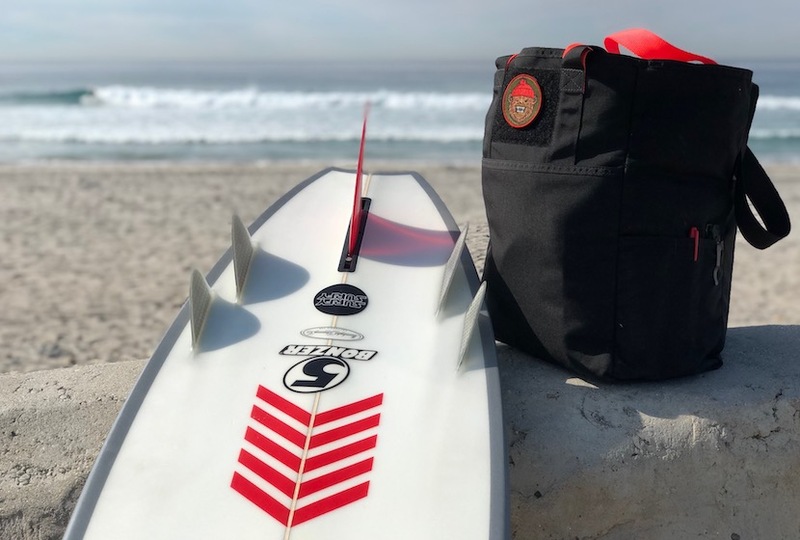 Having all of this handy makes it easy to just throw a board in the back and go, or if the opportunity comes up to go for a swim, beach workout or snorkeling if the waves are flat. I purposely bought a black bag so if I wanted to I could tuck the bright orange straps inside the bag and lay it behind the driver’s seat where it is well camouflaged from prying eyes amongst the dark interior of my car. The CaB-2 is basically a blank slate and not over specialized for a single type of use. Once you have this bag for a while you will end up wishing you had more as you see all of the varied uses it has for organizing gear. It makes camping and overlanding super easy as you can divide up all of your gear by use and have an organized system in the back of your vehicle. Look for it on the PDW Website where you can find it in various seasonal colors.